North Canton digital marketing firm, Sanctuary Marketing Group is proud to announce they are a recipients of the 2014 Weatherhead 100 Upstart Award through Case Western Reserve University’s Weatherhead School of Management. The Weatherhead 100 Upstart award celebrates the spirit of Entrepreneurship in Northeast Ohio. This year marks the 26th annual Weatherhead 100 awards cycle. Companies are evaluated on their growth over the past four years. The award committee reviews financial data from 2009 through 2013 and has three tiers of awards based on the size of the companies for the start and finish of that time frame. Sanctuary Marketing Group is thrilled to receive such an honor. Sanctuary considers this a bellwether milestone in the history of the company that stands as a testament to the hard work, enthusiasm, and energy of its dedicated team of digital marketing professionals. The staff at Sanctuary Marketing Group spans the historic and technical depths of digital marketing. Team members cover the full range of knowledge including those who have worked in marketing since the early days of the internet through designers and coders who are abreast of the latest innovations and trends. However, as most of their clients can attest, what sets Sanctuary Marketing Group apart is their unique ability to listen truly to their clients’ needs. Through listening, Sanctuary develops an understanding of the nuances that engage, challenge and delight their clients through their entrepreneurial endeavors. On December 4th, Sanctuary Marketing Group will send team members to the Weatherhead 100 event at Landerhaven. 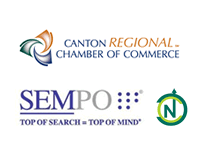 The team looks forward to celebrating the entrepreneurial spirit of Northeast Ohio. For more information on Sanctuary Marketing Group, please contact our North Canton offices at 330.266.1188.